According to legend, the unicorn was a solitary creature that preferred to live in deep forests or on quiet mountains. A gentle animal that refused to hurt another living thing, it was considered a noble, holy beast, endowed with magical powers. This mythical, horse-like creature with a single horn in the middle of its forehead is featured in this beautifully illustrated coloring book. Thirty lovely illustrations show this fabulous animal carrying a young knight into battle, resting under a night sky in a field of tall grass, with the head of a lion and a scaled body in a Japanese rendering, rearing high on its hind legs before a medieval castle, posing with a beautiful maiden, as sea serpents with fins, and much more. 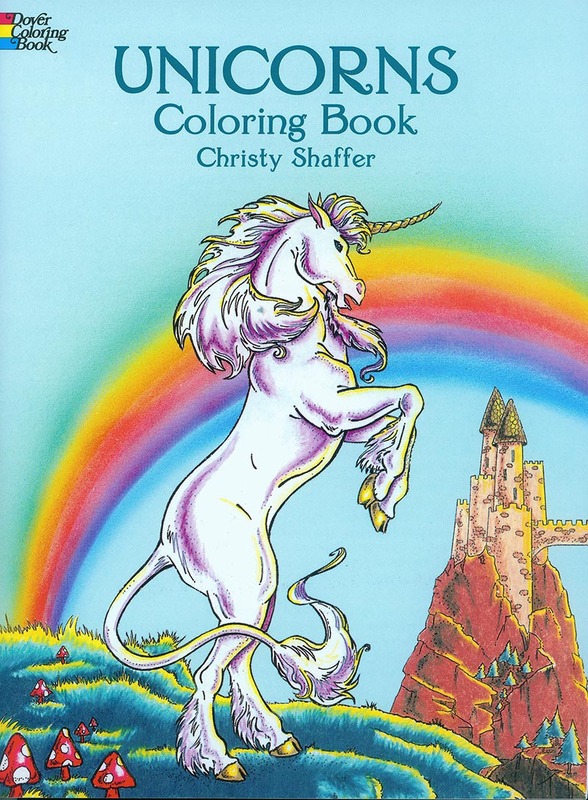 Descriptive captions accompany these charming, ready-to-color illustrations, sure to delight colorists and anyone fascinated by the strange and enduring myth of the unicorn.